From the age of three, Mackenzie Kimbro spent her allowance on cookbooks instead of toys and watched cooking shows instead of cartoons. She and her grandmother, Wendy, planned to write a cookbook, but Mackenzie would end up writing it on her own. Wendy passed away from pancreatic cancer in 2014. 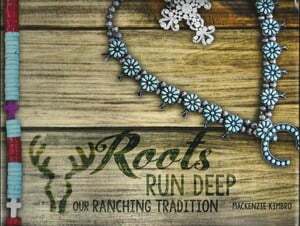 Mackenzie wrote "Roots Run Deep" as a tribute to her grandmother, the way of life of Arizona ranching and a way to share the recipes she holds dear with the world. Order Mackenzie Kimbro's cookbook, "Roots Run Deep" now. This Monday, Mackenzie Kimbro brings her cookbook’s themes and recipes to the screen, on an RFD-TV special, "Roots Run Deep." The special will air Monday, September 18th at 8 p.m. ET. The one-hour feature will give viewers a glimpse into the life and legacy of Wendy Glenn, who Kimbro describes as her biggest cheerleader, her rock and a no-nonsense grandma. The mark she left behind is apparent, and her family’s commitment to the land shines through. “We stay here because we love the land, we love what it has provided us, we love what we can provide in return to the country, the wildlife, and the heritage of cattle ranching,” said Kelly. Roots truly run deep for the sixth-generation cattle rancher in southeastern Arizona. 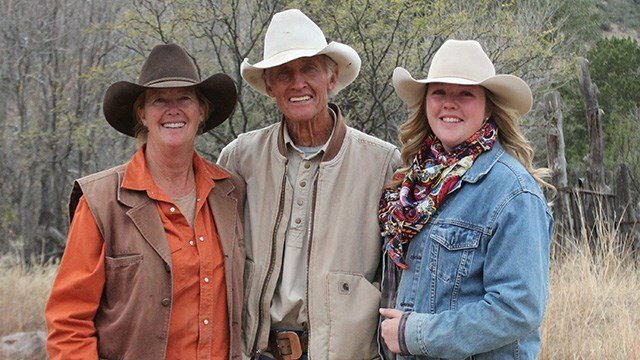 Mackenzie Kimbro spends her days working on their two ranches, but she and her family have many more layers. Their ancestors homesteaded the J Bar A ranch near what is now Douglas, Arizona, in 1896, and have stayed ever since. They also acquired another ranch 50 miles away on the Mexico border, the Malpai. Kimbro grew up in a strong family and at the heels of her grandmother Wendy, learning the cowgirl way from this beautiful and sincere woman. Now, she spends most of her time on the ranch with her grandfather Warner Glenn and her parents, Kerry and Kelly Kimbro. Kelly has been a licensed mountain lion hunting guide for 36 years, but you may recognize her as “The Ruger Girl,” representing Ruger Firearms as a responsible gun owner, with ethical hunting practices, responsible wildlife management, and gun safety. Kelly makes public appearances and corresponds with gun owners and Ruger collectors across America and military units abroad. She also works in the local ranching community with Mackenzie, organizing and cooking for charity events and ranch guests.